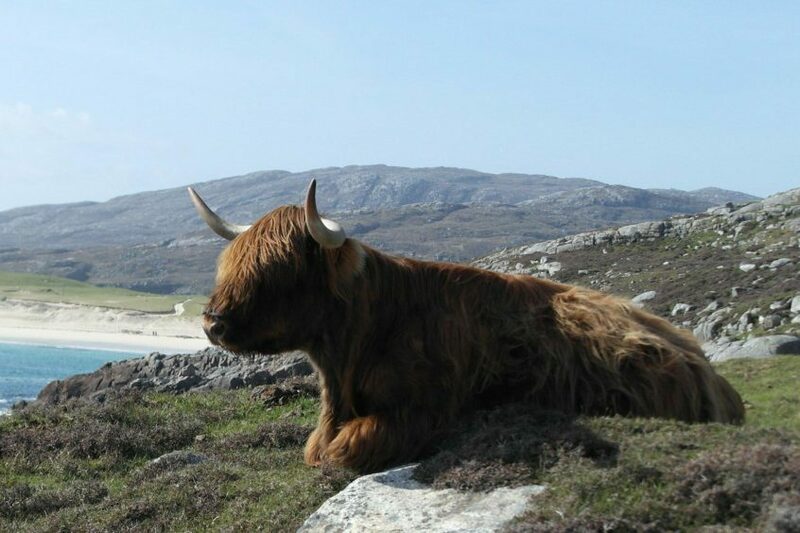 The Isle of Harris isn’t known for traffic jams but Mangela Coia was caught up in one when a Highland cow refused to move off the road. 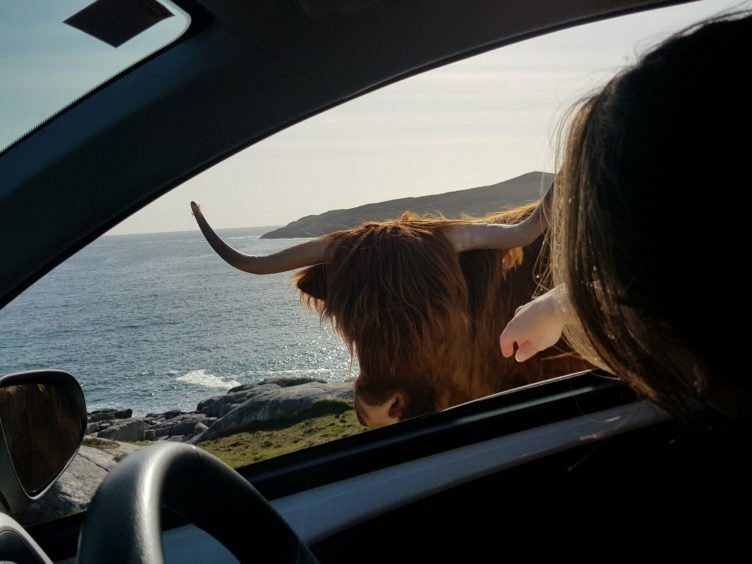 Driving with her friend from Huisinis beach to Tarbet last weekend, the pair were stopped in their tracks as a Highland cow wondered in front of their hire car and refused to get out of the way. 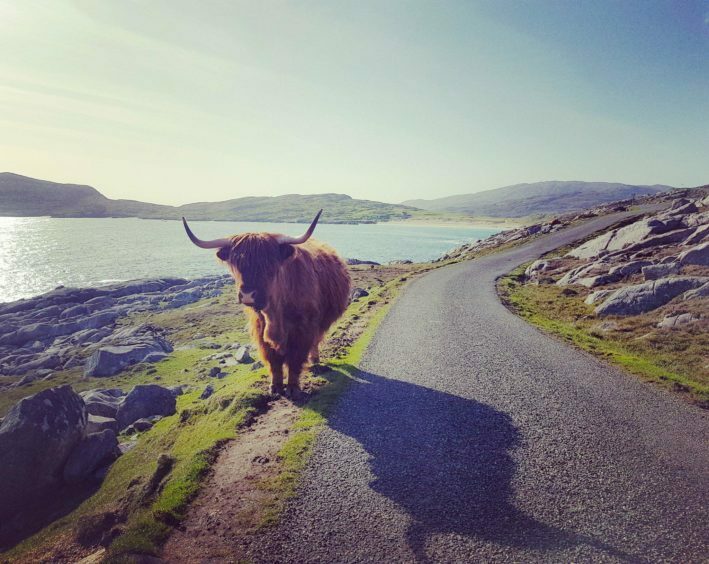 Finding the moment rather hilarious, Miss Coia got out her mobile phone and started recording the cow trotting along at a leisurely pace. 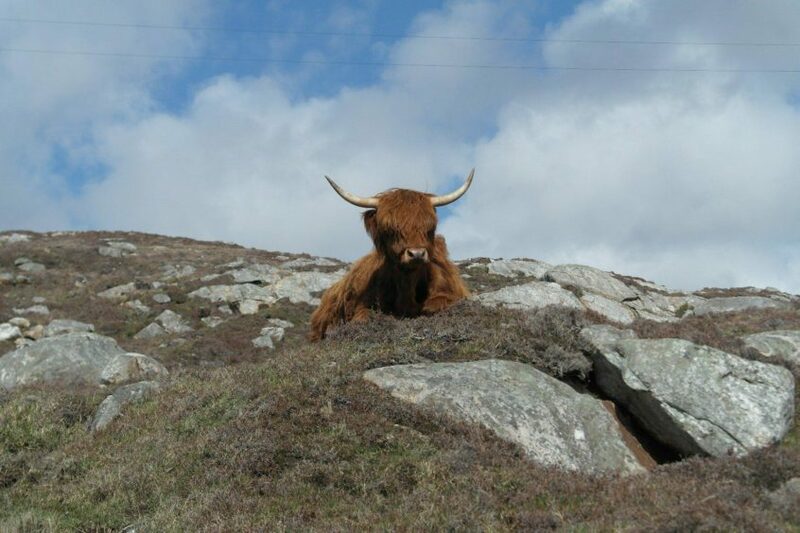 “We had been in Lewis and Harris on holiday all week on a road trip with a car hire,” said Miss Coia.